This blog is a place for people who are concerned with the ongoing crisis in post-secondary education in New Brunswick, Canada. For well over two years now public higher education in the province has been under attack, though the focus of those attacks, and hence the fightback, has shifted. We are moving into a period when university autonomy and academic freedom are under threat. 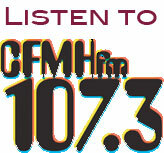 Living in interesting times began in 2007 as a forum for people who were concerned about the continued access to university education in New Brunswick in the face of the proposals in the Miner/L’Écuyer report to dismantle three university campuses and undermine the integrity of public education in the province. The provincial government, by actually considering these proposals, created a crisis at the University of New Brunswick and throughout post-secondary education in the province more generally and their continued inaction has exacerbated the situation. 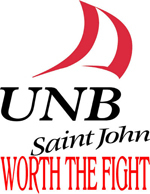 This site continues to be sponsored by the “Save UNBSJ Committee,” although recent events suggest that a new moniker — perhaps “Campaign for Academic Freedom”? — might be a good idea. Miriam Jones does site administration and much of the posting. Debra Lindsay and Lee Chalmers are regular contributors, and Chris Doran, Kurt Hansen, and Rob Moir have also posted, and occasionally others; check the by-lines. Material posted on behalf of someone else is always indicated, even if the author’s name is not. If you are interested in joining the conversation, please leave a comment. If you would like to find out more, please leave a message under “Contact Us” or send an email to jones at unbsj dot ca. DISCLAIMER: All opinions expressed on this blog are the sole responsibility of their author(s). Unless stated otherwise, all authors are writing as private individuals and their opinions do not necessarily reflect those of any organizations or groups with which those authors may be affiliated, nor do they necessarily reflect the opinions of the Save UNBSJ Committee. This blog is a place for dialogue and posters and commenters have a wide latitude. That being said, the site adminstration reserves the right to disallow, edit, or remove comments or posts.